There is an epidemic of processed sugar overload that has been going on in our country for far too long. Whether it’s traditions, such as halloween, or birthdays or any other cause of celebration, “sugar” takes the stage. Almost every day I speak to mom’s that complain that their kids are having physical and emotional issues. When I ask them about their diet. most all of them say the same thing. ” I can’t get my children to eat fruit and veggies.” I can empathize with parents regarding the challenges they face with this issue so I turned to my nine year old niece Bella for answers. AnnaBella Joy, like her name, is an absolute joy in my life. Her parents. thankfully, have raised her on lots of fresh fruit and vegetables. And even though she does indulge on the occasional processed goodie, she is completely aware of the importance of ingesting as much “real” fresh food as possible. The one thing that Bella and I do when we get together is create. We create with painting, drawing and even food. It makes sense that when a parent involves their child in something they need to change, the child is much more prone to be influenced toward a positive outcome, if the child is directly involved or has a say in the matter. It’s a win/win for both the parent and the child. 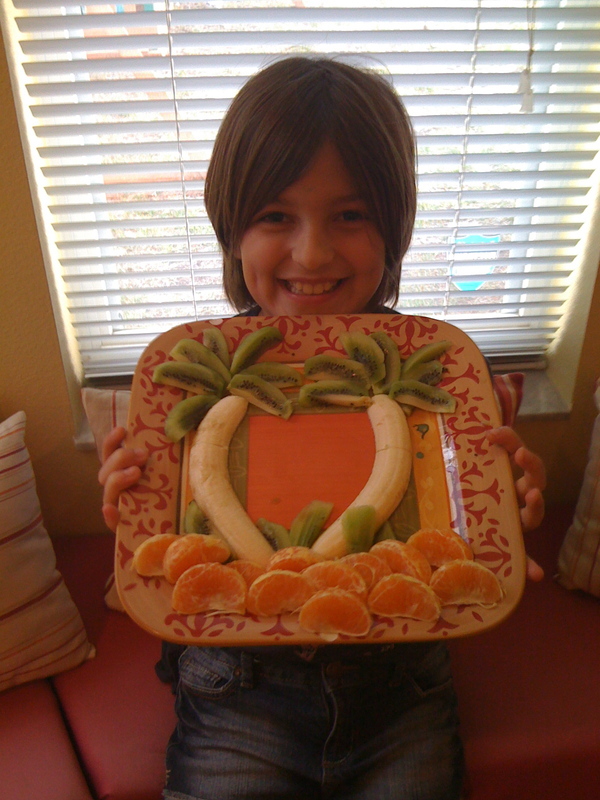 One of the things that you can do to get your kids to eat better is to create something fun with food. When a child feels happy and there is a reward for the achievement, they will automatically want to do it. It will save both time and energy for you as a parent and your children will be happy and healthy. So when you are trying to sway your children to eat better, rather than exhaust yourself with a stance of punishment for you and your child, make it fun. Shift it into an experience where you and your child are bonding for the greater good.